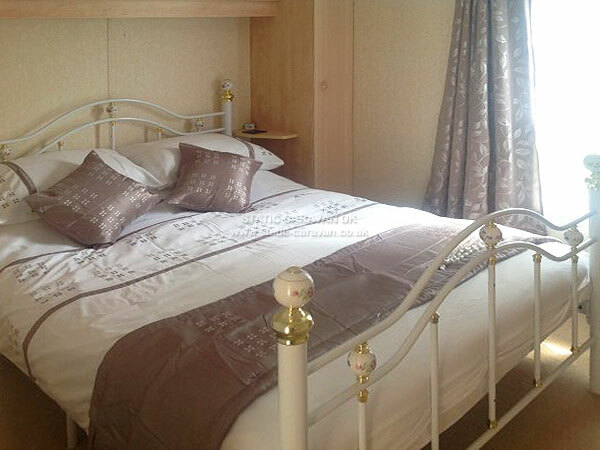 Glenmoor 44’ is a Two bedroom (38ft x 12ft) with double glazing and central heating. 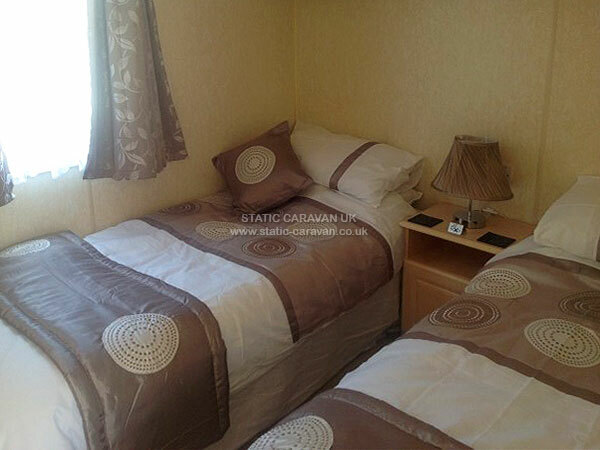 It has a double Master bedroom with fitted wardrobe, dressing table with a mirror,sink and stool. There are bedside cupbards and bedside shelves. 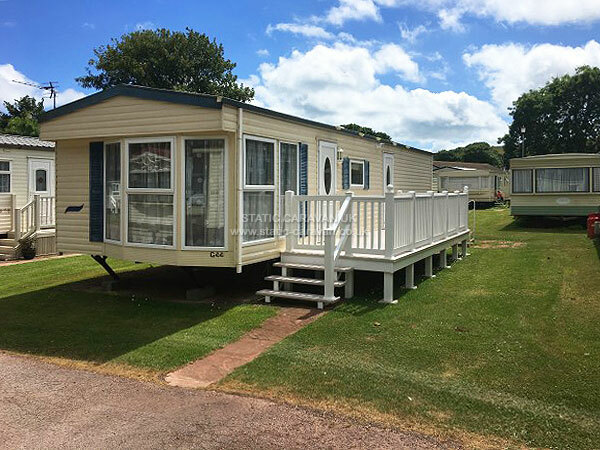 There is a twin bedroom with twin beds, single wardrobe unit with drawers, over-bed storage and a bedside table with a lamp. 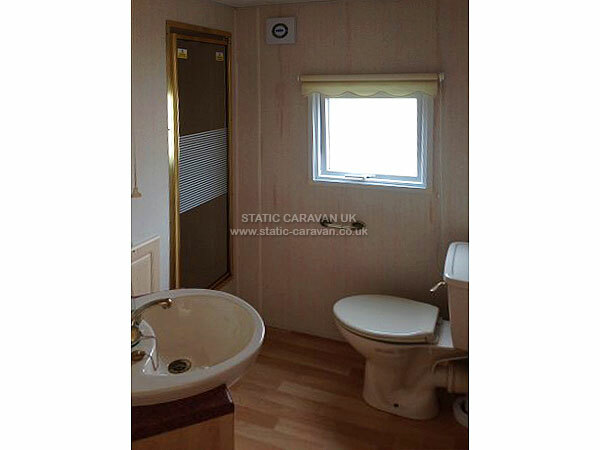 The main bathroom consists of a toilet, a large shower enclosure, sink with under cupboard storage and a heated towel rail. 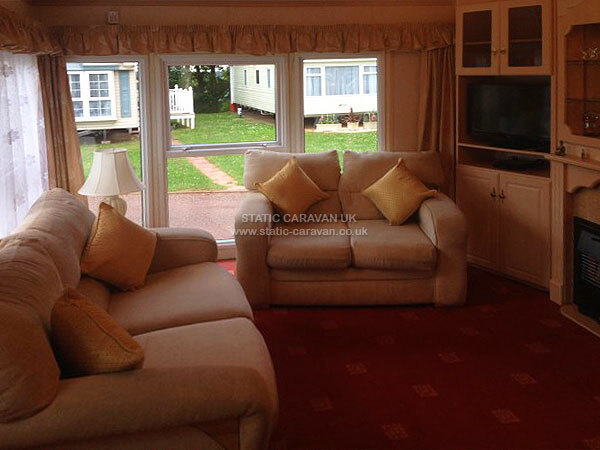 The open plan lounge area is fitted with two sofas, an electric fire and a 29" digital TV with DVD player. 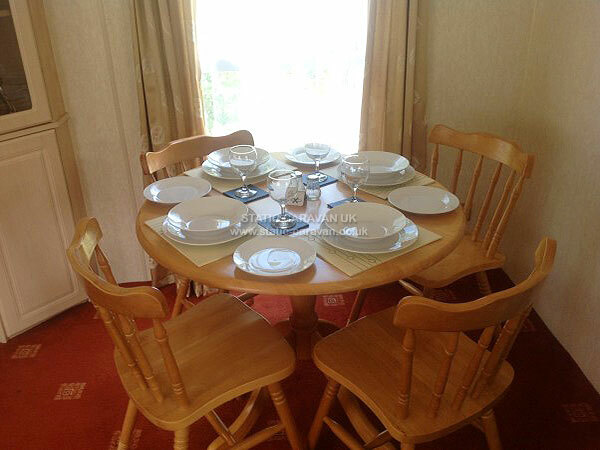 The dining table is also located in the lounge area with seating for 4 adults. 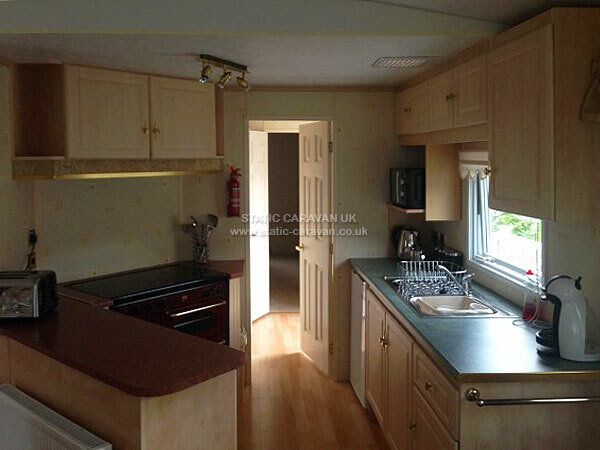 The kitchen is fitted with a large cooker, with oven and grill, a toaster, microwave and larder fridge with a freezer box. There is also ample storage above and below the work surfaces. Glenmoor forty-one is located in a quiet part of the park, yet still within just a few hundred yards of all the site facilities. A non refundable deposit of £50 per week is to be paid within 7 days of booking. Also a damage bond of £100 is to be paid with the final balance. (bond is returned within 7 days of departure, once the caravan has been checked). Full terms and conditions of booking are sent before confirming a booking.